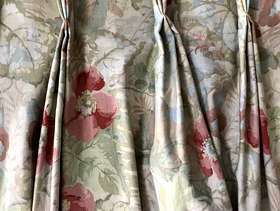 Lined curtains, for 318 cm curtain rail. Drop of 147cm. 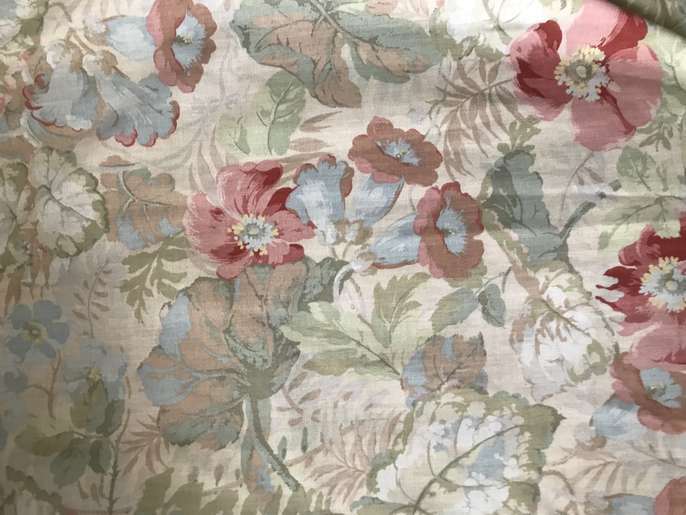 Vintage fabric. Available for collection only. Not blackout. 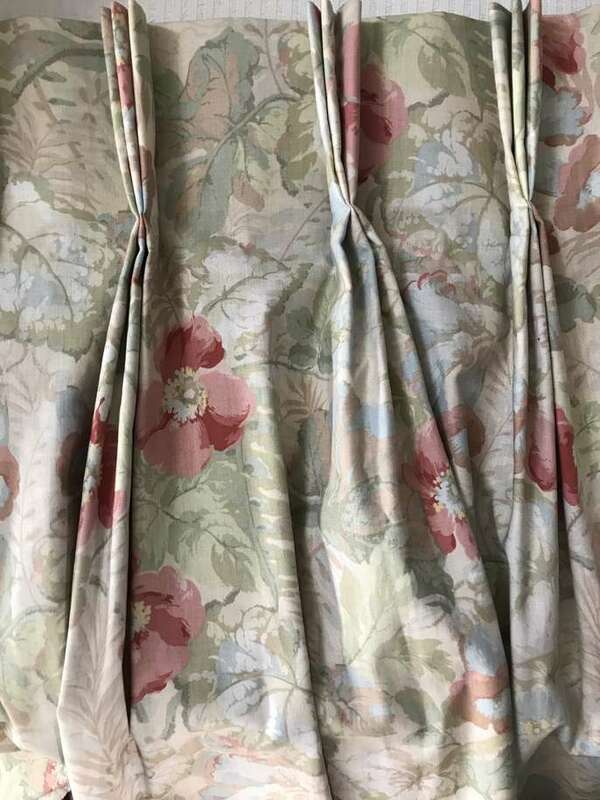 Have some separate blackout curtains of the same size I’d be happy to provide with the curtains, but the blackout curtains are not in as good a condition. Curtain could be used as fabric - is in reasonable condition.